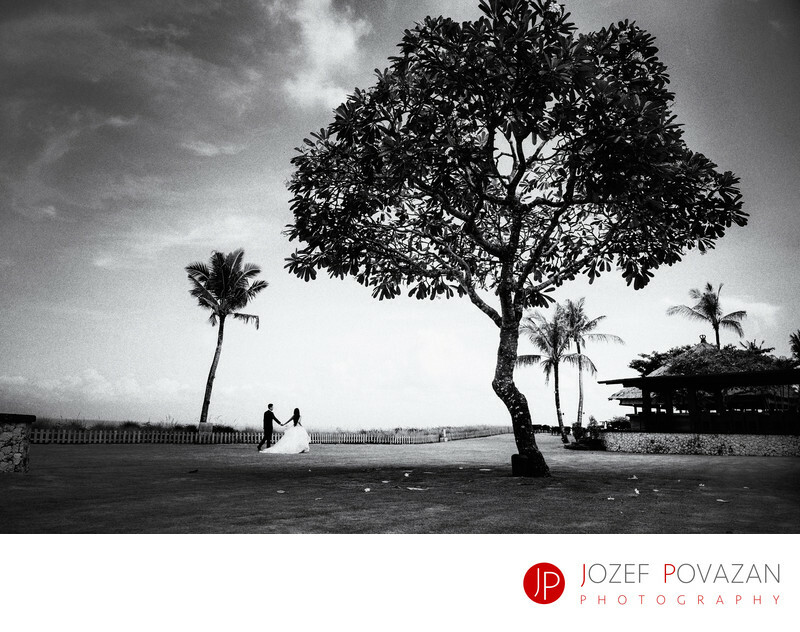 Bali Ayana Rock Bar Destination wedding photographers - Best Vancouver wedding photographer Jozef Povazan Photography studio. Bali Ayana Rock Bar Destination wedding captured by Vancouver wedding photographers - Jozef Povazan Photography. Unique, fearless and bold pictures of love. Living your wedding day like a fairytale is a dream of every bride. And if you do rest your mind and simply enjoy small moments through the day, you will live it as a queen. Just a simple walk on the cliff above the ocean like this bride and groom decided to do will makes your memories special forever. I am loving husband, goofing dad and wild wedding photographer from Vancouver. Storytelling is in my bloodstream and creating images which give you wow, wtf how in he... did he do it.., are my redemption for ordinary world. Feel free to contact me if you would like to know how I create and capture these unique moments for my clients and I will be excited to share it with you. Your day is unique and so live it the way you always wanted. I just happen to document it for you for your love and sake of it :). Thank you for visiting. Location: Jl. Karang Mas Sejahtera, Jimbaran, Kuta Selatan, Jimbaran, Kuta Sel., Kabupaten Badung, Bali 80364, Indonesia.